Hello! It's week 2 for the current CR84FN Challenge! 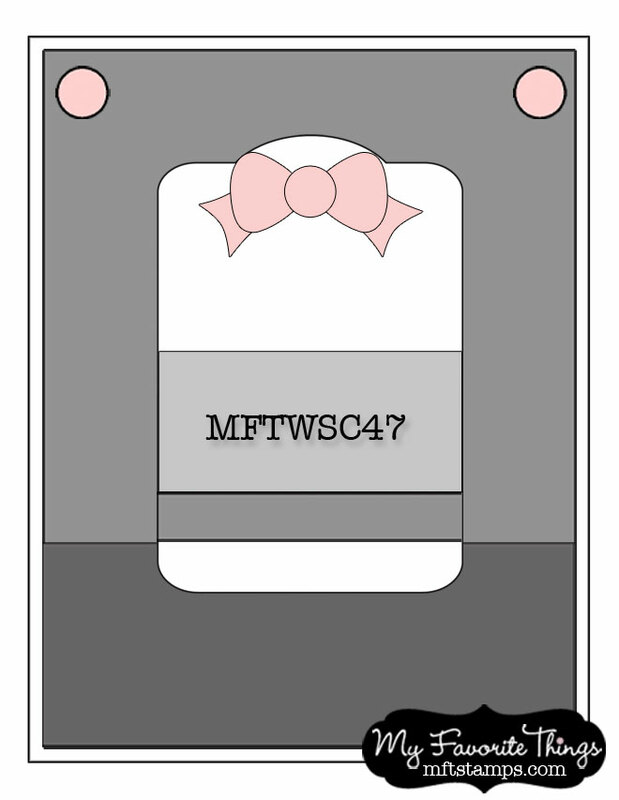 If you haven't played along yet, you have just under a week to play in CR84FN43. 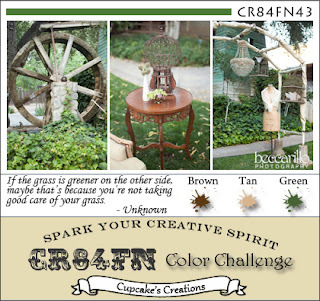 Our color palette is Brown, Tan and Green. Photos courtesy of Becca Rillo Photography. I was thrilled when the November My Favorite Things VIP kit featured the Pure Innocence line! I was lucky to get my hands on one of the kits (it sold out FAST!). Today I inked up the sweet PI - Holly Girl. I pieced her dress and colored the rest of her. I mainly stayed with the color scheme, and added a bit of red for the holly berries. For sketch inspiration, I used this week's WSC Getting Sketchy #47 from My Favorite Things. All the challenge details can be found HERE. Accessories: Die-namics Tag, You're It (My Favorite Things), Markers (Copic), Vintage lace, Crystals (Prima), Twine (May Arts), Foam tape, Thread, Sewing machine. Such an adorable card Stephanie right down to her green shoes! Love her pretty paper pieced dress and all your fancy stitching! So Sweet! 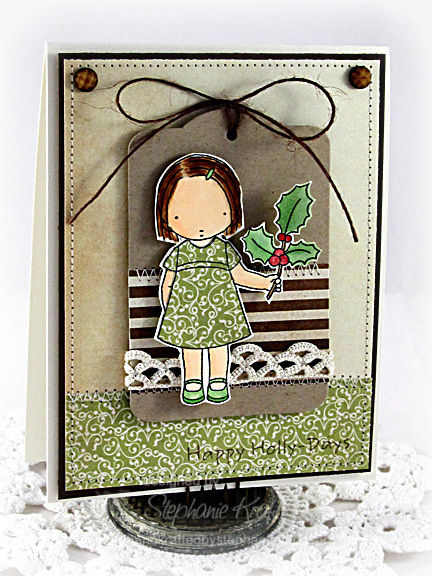 Love the adorable image with the cute holly branch! Wonderful card! This is so sweet! I love this Holly girl! Her dress is precious! Oh this is fabulous, stunning coloring job. Stephanie - such a sweet Christmas card. The image is lovely, coloured beautifully and I like that her dress and the backing paper match. Sweet puny sentiment too! Gorgeous! Oh, Stephanie, I just LOVE how you paper pieced her dress to match to bottom paper and she is just so SWEET with that holly! 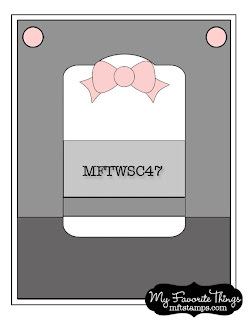 Just a CUTE CUTE card! This is darling Stephanie! I think your the queen at paper piecing, love what you do!! !